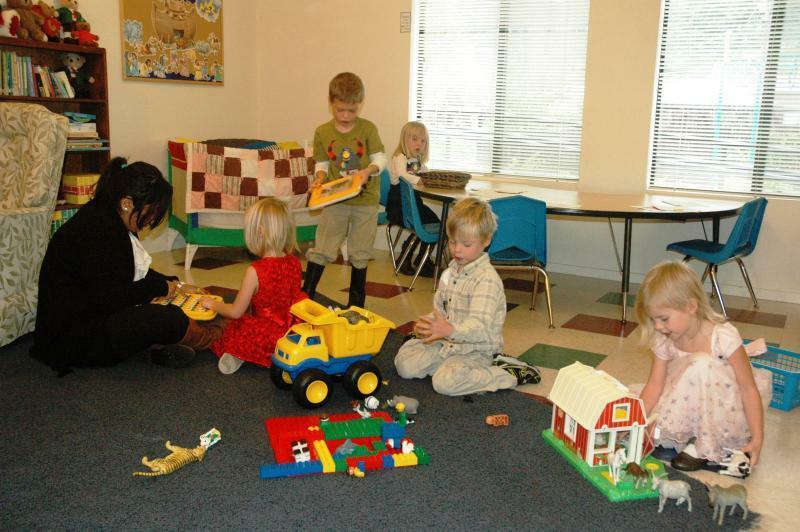 A safe caring environment is provided for children ages five and under from 9:15 to noon each Sunday morning. Our experienced nursery attendant supervises and interacts with the children in the playtime for preschoolers, toddlers and infants. The nursery room is planned with safety and fun in mind. It is equipped with a changing table, a playpen, toys, books, a high chair, toddler-size chairs and table, and a rocking chair. An attractive, safe outdoor play area is also available for use by these young children as weather permits.